Picture taken from a baloon anchored few kilometres back from the temple. 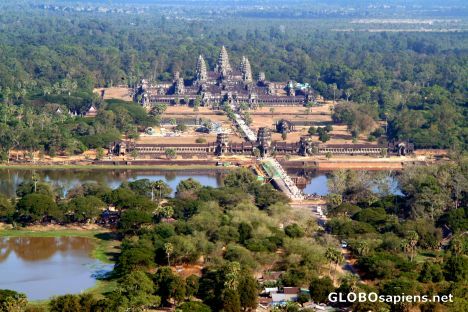 I regret a lot that I didn't had a chance to see Angkor from balloon. I is a great view.